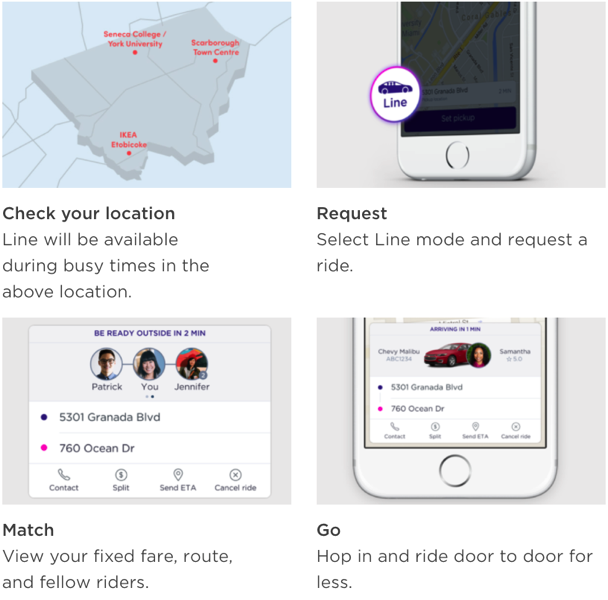 Lyft Line has launched in Toronto, marking the first time the ride sharing company’s carpool service has expanded internationally. Line allows riders to connect with others going the same way and “always costs less than standard Lyft,” as passengers split the cost of the ride with each other. Essentially, the service is like Uber’s equivalent, which is called UberPOOL. To celebrate the launch of Lyft Line, riders can get $10 off a ride to King Street between Bathurst and Jarvis with promo code KINGSTREETPILOT through April 8. If you’ve never used Lyft before, enter promo code NICK33847 when signing up for $10 off. Lyft launched in Toronto back and December and launched in Ottawa last month, its second Canadian expansion city. Click here to download Lyft for iOS in the App Store. Let us know if you give Lyft Line a try.